Must We First Forgive to Be Forgiven? We commonly see pictures with Bible verses like this one posted on social media as a form of encouragement. But is it really encouraging to be told that God won’t forgive us unless we first do a work? Jesus did say these words, but did He intend them for believers? As part of what is commonly called the Lord’s Prayer, and in the context of the Sermon on the Mount, Jesus said, “Forgive us our debts, as we also forgive our debtors” (Matthew 6:12). 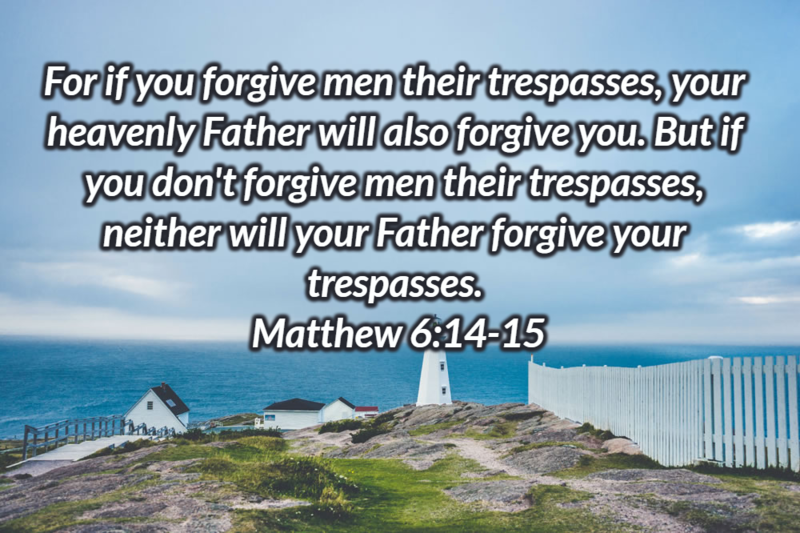 Again, in Matthew 6:14-15, Jesus taught, “For if you forgive men their trespasses, your heavenly Father will also forgive you. But if you don’t forgive men their trespasses, neither will your Father forgive your trespasses.” These passages have caused theologians some consternation. They seem to pin our receiving God’s forgiveness upon a human work—the work of our first forgiving others. Will God not forgive us unless we forgive others first? Q. Does God see choosing singleness to be equally as good as marriage? Various circumstances may cause some people to not marry and others to lose a spouse. All can live fulfilling, God-glorifying lives. Paul learned to be content in whatever state he was in (Philippians 4:11). So should we all. But are those who teach singlness as a choice that is equal to or even better than marriage going too far? A. Years ago, if a Christian never married, his or her spiritual brethren might consider it mildly unfortunate, but they usually remained polite enough to stay out of the person’s personal life. Now, however, “celebrating singleness” has become so trendy that many Christian writers and preachers are advocating staying single. Whether someone marries or not is that person’s private business, but false teaching is potentially damaging and ought to be exposed.